You just need OneWallet to pay all your local vendors! OneWallet – Go Online, Pay Online. Managing payments with Newspaper, Milk, Cable vendors is always tedious task; the reason being they may either come when you are unavailable or you will miss paying due date. The end result being they will discontinue the service. OneWallet is here to disrupt that area, they want to take local vendors like newspaper, milk, cable, broadband operators etc. to take their business online via mobile app and enable their customers an option to pay online. Their vision is to digitize the unorganized sectors for online payment. The app is currently available in English, Marathi and Hindi and soon they are adding seven more Indian languages. Auto bill generation and the bill is sent to customer via SMS/Email. 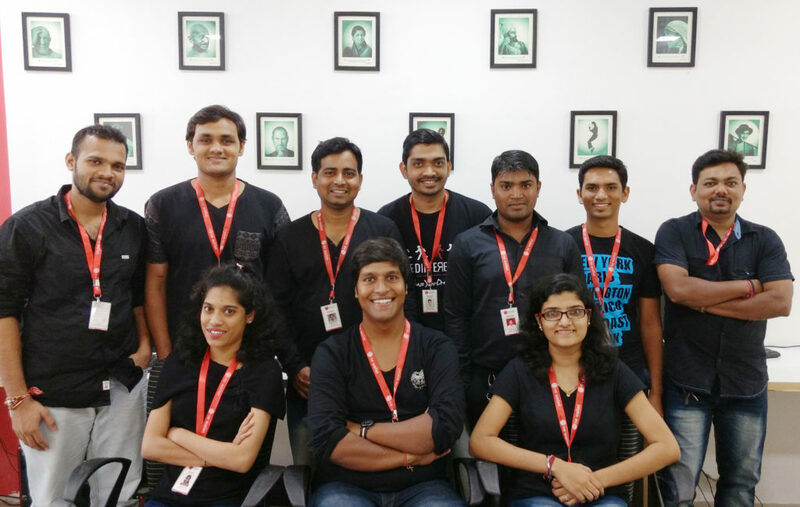 OneWallet is the brain child of Neeraj Tiwari, and currently there are 15 members working with One Wallet. Neetaj, management graduate from Mumbai University, started his career from Kotak Securities Ltd. After a brief stint at Kotak Securities, Neeraj moved on to research and writing for www.myiris.com. He then started TNetwork Solutions, a web and mobile application development company in November 2009 at the age of 23. TNetwork went on to complete 250+ projects in 6 years of its operation. TNetwork operation was formally shut down in 2015 to focus on One Wallet. Neeraj says, the idea of OneWallet strike him when his newspaper vendor came to collect monthly bill at 9.30 in the night and his mom refused to make payment because as per Indian tradition it is not recommended to offer payment after lights are off. And that was the moment he realized how much pain is there in this industry and how traditionally they are working. This was the moment when he decided to take these Industry online and bridge the gap using technology. One Wallet has a great run so far, they launched the app in December 2015. Till date they have 1200+ Newspaper and Milk vendors and around 1 Lakh+ customers are using the app. By 2017 end they are planning to expand to Top 15 cities of India and add more industries to our app. Currently One Wallet is not facing any competition in this domain and they want to scale faster as you can expect competitors once they see a success in the domain. What is your biggest challenge you faced as entrepreneur and how did you overcame it? Neeraj: Finance. When you are building up a product based company and you know in Initial days there will be no revenue but you cannot compromise on the cost, you need money to run the show. Luckily we raised seed funding from our investors. What is the biggest learning so far in your entrepreneurial journey? Neeraj: Don’t give up no matter what. Just be there, with time all problems will be solved even if it didn’t, don’t do anything about the problem. Just stand where you are, it’s okay not to progress but being in the game is the real test. And you need a great team. Who is your mentor/role model? What’s the best lesson you learnt from your them? Neeraj: My mentor/role model is Parag Rele. My biggest learning from his is on “Cash flow”. He always insists you cannot do business if you have very less grip on your cash flow. All he says is, make sure you have a very tight eyes on cash flow. Spend slowly, earn fast. What is your tip for entrepreneurs raising fund? Don’t take money from anyone, not all money is a good money. Make sure you get a good person and not good money in your investment. What is your tip for newbie entrepreneur? Make money from the day one, don’t do business for funding.